The Nissan Pathfinder boasts a well-deserved reputation for being reliable, affordable, powerful and useful. Today’s Pathfinder is easily recognized, but it comes packaged with advanced tech and quality-of-life changes to improve the driving experience. This creates a deeply special vehicle that’s not only memorable, but also exciting to drive. When SUVs were first introduced, they were boxy and uncomfortable. Full-sized and often hard to handle, sluggish and more suited for off-road than on, the SUV hauled the whole family, yet lacked family friendly features. Over the years, SUVs (and the Pathfinder specifically) have made a lot of changes to ameliorate that bad reputation. Now, they truly are great family vehicles. 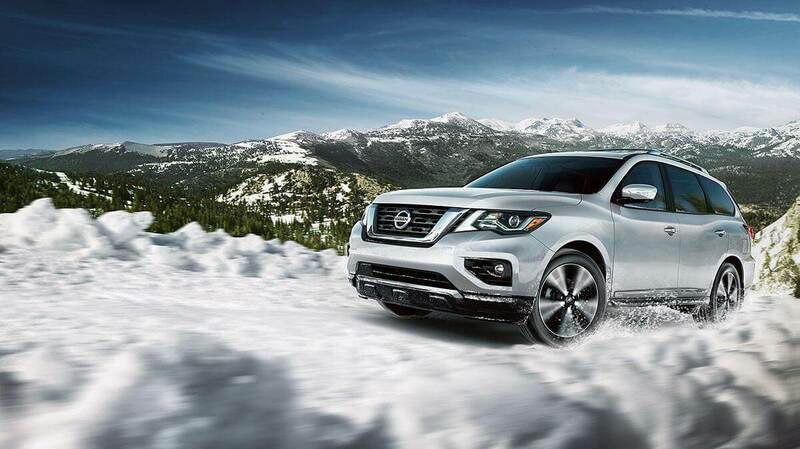 The newest Pathfinder integrates technology, entertainment, function and flexibility into one truly sweet package. It’s ideal off-road and on! Typically, the basics of a good vehicle are reliability and affordability. These days, technology also plays a critical role in what drivers seek out in a new vehicle. Since so many of us rely on connectivity and the Internet for everything from navigation to finding a restaurant, it is important that our vehicles have technology integrations that make our lives easier and safer all at the same time. Advanced features in the new Nissan Pathfinder turn this reliable and classic SUV into a perfect package that both drivers and families can really fall in love with. The introduction of the Rear Door Alert System addresses what has become a serious problem in society: parents accidentally forgetting little ones in the backseat. This system reminds drivers that they might be forgetting something, making it safer to cart your most precious cargo around without fear. If a rear door is opened prior to driving, and isn’t opened again when the car is put in park, the vehicle will sound an alert. This keeps busy moms and dads from forgetting a child in the back seat, saving lives. It’s also a great way to remember the snoozing dog, your groceries, your purse, and just about anything else you might forget. Nissan didn’t just stop there. They went all-out on safety with airbags, three-point seat belts (even in the middle seat), and quick-latch systems for secure seating. In the interest of creating a sleek silhouette, increasing fuel efficiency and providing a smoother ride, the Pathfinder features signature Nissan design elements. These elements include boomerang-shaped LED headlights and daytime running lights, an aggressive hood, and a V-motion grille. The front chin spoiler design channels air downward to reduce drag and improve air flow around the vehicle. When you look at the new Pathfinder, you know it is an SUV. When you drive it, you might second-guess that assumption. You’ll be surprised at how easy it is to handle, even at high speeds, and even on rough terrain. The Pathfinder is rugged enough to go off-road, yet smooth enough for a cross country road trip with the whole family. With all the technological integrations, you might assume Nissan would skip cockpit details and luxury designs on the interior. Fortunately, that’s just not true. The Pathfinder offers drivers and front passengers comfortable seating, plenty of legroom, and an easy-access instrument panel to keep drivers looking forward and at the road with hands at 10 and 2. Second and third row passengers get to experience the luxury of comfy seats with leg and headroom galore. Back entertainment options keep the kids busy and parents relaxed, making trips more enjoyable. Speaking of trips, this one’s for road trippers: the Pathfinder seats seven comfortably, making it ideal for vacations, travel, and so much more. It combines the space and cargo capacity of a large SUV with the benefits and features of a mid-size crossover vehicle. The second and third row seats offer a variety of flexible configurations with easy latches and access. No more going to every door to make a simple seating change. This line boasts incredibly advanced engine sizes with great horsepower ratings. The Pathfinder is ready to hit the back roads, go off-road or cruise the highway; whatever you see fit. Power off the line and amazing towing capacity make this one of the most effective engines for an SUV. The mirror bore cylinder coating and Nissan’s Direct Injection Gasoline system improve efficiency and performance. While compact car drivers may shudder at the Pathfinder’s gas mileage, anyone who has driven a full-sized SUV knows that it has excellent fuel efficiency for its size. Nissan altered the Pathfinder’s design in many ways, inside and out, to make it lighter and more aerodynamic for fuel efficiency. Choose from two and four-wheel drive to maximize your experience and best match it to your lifestyle. Visit an El Paso Nissan dealer today to check out the newest Pathfinder. We’ll show you customizations and options that will truly make your new SUV the perfect vehicle for your needs.